Thousands of students have completed their GCSE exams and are preparing for the future. Although most school leavers are relaxing for summer and are opting to continue their studies at Sixth Form College come September; for some, college can be seen as a daunting and unappealing option. Therefore some students seek alternatives like an apprenticeship scheme that offers the opportunity to delve into a specific sector, combining learning new skills, gaining qualifications and working in a team, all whilst having a hands on experience and earning. Not only does an apprenticeship supply a foundation for building value life skills, it enables students to embark on a route, which is different to college or sixth form. For a vast majority of youth, finding employment without experience can be extremely challenging, thus becoming an apprentice is an extremely effective way for school leavers to build a great CV that will prepare them for future employment. Award winning field marketing agency, GottaBe! newly supplies a fantastic apprenticeship scheme that will offer valuable life attributes. Recently, the agency has recruited a 16-year-old school leaver, Holly Snelgar who has taken onboard the exciting role and joined the team from Hounsdown School in Southampton. 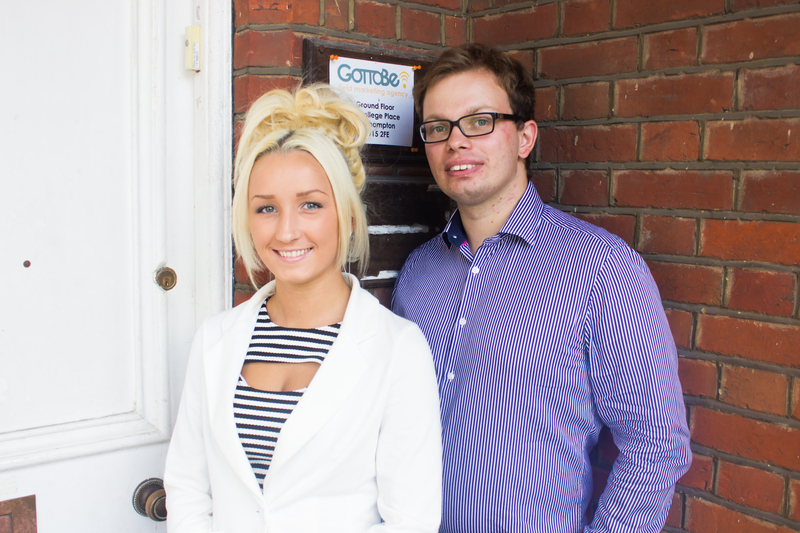 Holly has accepted the role of Business Support Apprentice at the GottaBe! HQ office for a 12 month period. Throughout the year long programme, Holly will be heavily involved with day-to-day office tasks, and upcoming campaigns, in particular with some of the agency’s well known clients. The apprenticeship will supply Holly with the necessary key skills and experience, which she will be able to successfully implement into future work prospects. GottaBe! worked alongside Boom Training to recruit an apprentice. – An apprentice can become a hidden gem in any team – said Phil Kimber of Boom Training. erience, which she will be able to successfully implement into future work prospects. Further commenting that apprenticeship schemes offer – Chances to develop a young person professionally and also mould / train your apprentice to the standards of your business, creating a fantastic new generation workforce. ncoming years, due to the highly demand for apprenticeship schemes. GottaBe! apprentice, Holly Snelgar adds – I am looking to gain knowledge and experience that can help me in later life, additionally I am very keen to learn about marketing and how it all works. I look forward to watching the business to grow and be a part of the exciting process”. her involved in forthcoming campaigns – said Tomasz Dyl, Managing Director of GottaBe!. Industry experience is valuable, and can supply an apprentice with great personal benefits. For example, confidence levels are boosted and the individual will often gain a high level of professional demeanor. It is arguable to say that being in a professional environment will encourage the apprentice to be motivated for self-achievement and to succeed in the company.